Australian producer Hayden James has spent the better part of the last year gaining notoriety stateside thanks to a buzzing single in "Something About You," as well as a steady touring schedule that has pretty much taken him everywhere across the country. In that respect, Hayden owes some of his exposure to Seattle electronic duo ODESZA, who brought the Aussie along for their In Return Tour last fall. And it was a perfect match, with the two acts spending so much downtime together during and after the tour you&apos;d think they morphed into a new trio. "You might think &apos;soul mates&apos; is a strong phrase, but that&apos;s how I feel about these guys," Hayden says of his former tour buddies. The best part about their chemistry—at least from a fan perspective—was that it meant new music from them in some capacity. Hayden flipped ODESZA&apos;s In Return standout, "Say My Name," last year, and today ODESZA return the favor with a remix of "Something About You." The duo trade Hayden&apos;s chilled house backdrop for a euphoric melody that feels like a ray of sunshine. It&apos;s a record ODESZA has already shared on tour, and trust, this will ring off at any festival. "When Hayden asked us if we would do a remix of &apos;Something About You&apos; we were a bit hesitant to say yes because the track is so good we didn’t want to ruin it," says Harrison Mills of ODESZA. "We decided to take the remix in a completely different direction instead of trying to create some sort of neo-house version." And Hayden was certainly impressed with their results. "ODESZA took this remix of &apos;Something About You&apos; to a different place," he says. "They absolutely nailed it! Playing this remix in my DJ sets is a highlight for me." 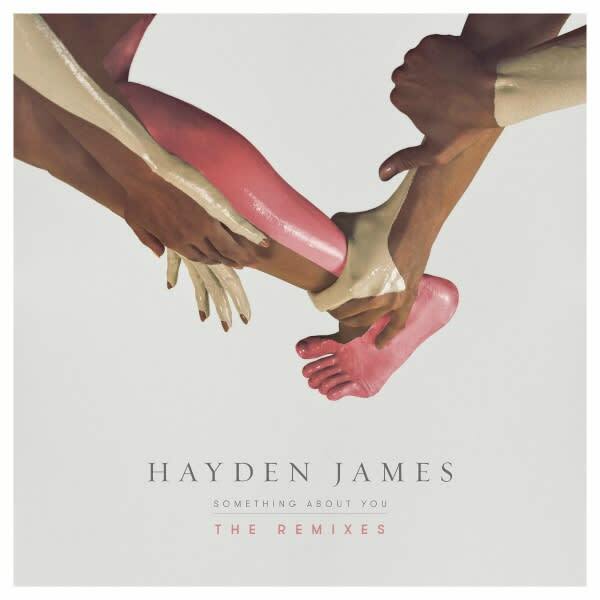 ODESZA&apos;s version of "Something About You" will be included on an upcoming remix pack Hayden James is releasing soon, which will also feature remixes from Ben Pearce and Just Kiddin. James&apos; European tour begins next month, with shows listed on his official website. ODESZA&apos;s In Return World Tour starts in September, with Phase 1 dates available here.